With technology being at the center-stage of education today, educators are compelled to figure out how best to combine technology with teaching. There’s just one end-goal – student success! Ensuring that the right infrastructure is in place is an absolute priority. Without it, student learning goals and curriculum targets are at risk. Fujitsu has years of experience in education sectors around the world. We are passionate about every stage of the learning process, supporting educators in uncovering the potential that will help students move onto the next stage of education. 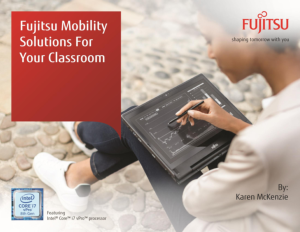 As students, teachers and IT departments explore a new era of learning, Fujitsu is by your side – opening up a world of possibilities.